Hungarian State Opera - Don Quixote Event home HamiltonThe PromNetworkTo Kill a MockingbirdKiss Me KateHadestownOklahoma! 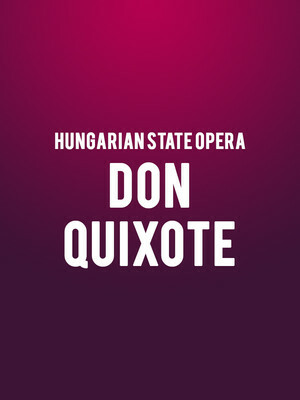 Why See Hungarian State Opera - Don Quixote? With their historic home venue currently under construction, the world renowned Hungarian State Opera embarks on a historic tour of US shores, bringing the music of their homeland to New York City's Lincoln Center for a strictly limited run this Fall. The 134 year old company debuts a vibrant program of ballet and opera works, including the US premieres of Ferenc Erkel's Bank Ban and Janos Vajda's one-act opera Mario and the Magician. 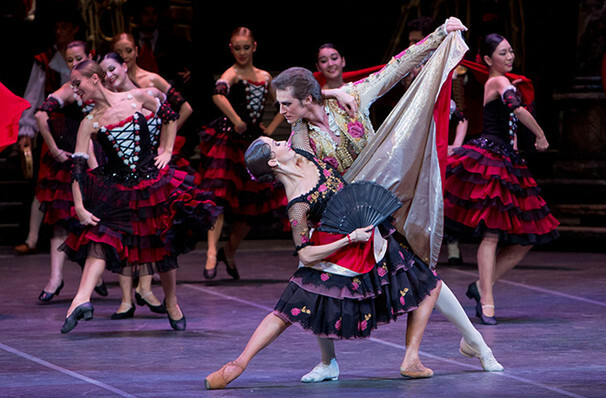 Rounding off their short New York residence, the Opera brings exuberant classic Don Quixote to the stage in partnership with the Hungarian National Ballet. The fruit of choreographic legends Marius Petipa and Alexander Gorsky (a contemporary who later revived many of Petipa's works), the production's dazzling displays of bravura technique tell the story of Spanish nobleman Alonso Quixano. Deciding the world needs more chivalry, he dons the name Don Quixote de la Mancha, seeking justice and setting the world to rights with his trusty sidekick Sancho Panza. Sound good to you? Share this page on social media and let your friends know about Hungarian State Opera - Don Quixote at David H Koch Theater. Please note: The term David H Koch Theater and/or Hungarian State Opera - Don Quixote as well as all associated graphics, logos, and/or other trademarks, tradenames or copyrights are the property of the David H Koch Theater and/or Hungarian State Opera - Don Quixote and are used herein for factual descriptive purposes only. We are in no way associated with or authorized by the David H Koch Theater and/or Hungarian State Opera - Don Quixote and neither that entity nor any of its affiliates have licensed or endorsed us to sell tickets, goods and or services in conjunction with their events.